RP2-OQ system, Fountain region. On the 16th of September at 18:20 EVE Standard Time, The-Culture [-T C-] and Northern Coalition. [NC] fleets engaged LowSechnaya Sholupen [-LSH-], Project.Mayhem. [16-13], Snuffed Out [B B C] and Goonswarm Federation [CONDI] forces in the system over a citadel. Hostilities between LowSechnaya Sholupen and The-Culture flared up again into open conflict over a Fortizar citadel in the PNQY-Y system. The-Culture spotted the citadel being deployed a day before and contacted its allies in order to prevent it from achieving operational status. The-Culture and ChaosTheory. [KOS] assembled a joint Rattlesnake battleship fleet of 160 pilots including 3 squadrons of dreadnoughts, as a LowSechnaya Sholupen capital force was scouted in the area. The allied force was further reinforced by a Northern Coalition. Proteus strategic cruiser fleet of 75 pilots. Against them, LowSechnaya Sholupen had prepared a 50 pilot Ishtar heavy assault cruiser fleet augmented by 2 squadrons of capitals, mostly dreadnoughts, and supported by a joint Snuffed Out\Project.Mayhem. Proteus fleet of 75 pilots and a Goonswarm Federation Augoror Navy Issue cruiser fleet of 160 pilots. Nominal support was also given by Fountain Core residents, who brought a stealth bomber wing to the fight and harassed the hostile fleets throughout the battle. By the time Northern Coalition. and the joint Rattlesnake fleets arrived to the system, the enemy fleets had already set up on the Fortizar, guarding it. Whats more, the two fleets suffered continued harassment from the stealth bomber wing, making engagement under these circumstances unfavourable to the attackers. However reports of the incoming Snuffed Out\Project.Mayhem. fleet which was still travelling to the location made the allies shift their tactics. The Rattlesnake fleet immediately warped to the RP2-OQ gate, the system from which the Proteus fleet was coming, and jumped on contact. The Northern Coalition. fleet arrived a few moments later and deployed stop bubbles in order to slow enemy reinforcements before jumping in after the battleships to offer reinforcements. On the other side, the Snuffed Out\Project.Mayhem. fleet was able to avoid the battleships, quickly warping off the gate rather than jumping in. Yet, as the Rattlesnake fleet was regrouping on the gate itself, LowSechnaya Sholupen managed to jump into it, as the Northern Coalition. forces were too slow in setting up the blockade. As the heavy assault cruisers de-cloaked, a cynosural beacon was lit and the LowSechnaya Sholupen capital force entered the field, on top of the Rattlesnakes. Not wasting a moment, the Rattlesnake fleet lit its own cynosural beacon and let in its own formidable capital wing and the two sides slugged it out at close range, signalling the start of the actual fight. The two forces exchanged heavy fire at close range, with battleships and dreadnoughts simply overwhelmed by monstrous volleys, ripped to pieces in devastating barrages. Both Northern Coalition. and the Snuffed Out\Project.Mayhem. fleets joined the melee, though the latter preferred to maintain maximum distance, hovering at around 70 kilometers from the maelstrom. As the battle unfolded, it became quite clear that LowSechnaya Sholupen and its allies were losing the fight. The-Culture and its allies had the advantage both in the number of capitals and in firepower, as the LowSechnaya Sholupen capital force was quickly cut down, often losing 3 or 4 of its dreadnoughts for only 1 of its opposition. What’s worse, its sub capital support was quickly torn to pieces by the arriving Northern Coalition. force and its Goonswarm Federation allies had been delayed by the Northern Coalition. interdictors. In less than 10 minutes, LowSechnaya Sholupen had been knocked out of the fight, what remaining capitals it still had on the field that were not tackled, jumped out of the system. But by now, the Goonswarm Federation fleet had managed to jump in and re-group, engaging the Rattlesnake and Proteus fleets at close range. 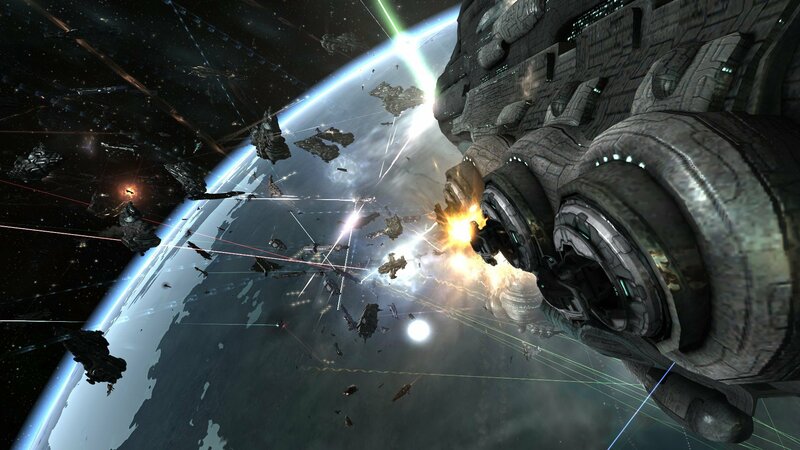 The two sides continued to fight, the Goonswarm Federation and the joint Proteus fleets managing to inflict losses on the Rattlesnake and Northern Coalition. fleets. Yet, the two allies were decimating the Augoror Navy Issue fleet. After targeting its logistics wing and thinning the number of Oneiros and Guardian logistics cruisers, the two fleets were able to easily break the mainline ships of the Goonswarm Federation fleet. An almost even trade in losses quickly became uneven as the Rattlesnake fleet managed to stabilise. Though losing most of its support and a fair number of logistics cruisers, the Rattlesnake fleet was able to rally together and simply obliterate the Augoror Navy Issues, assisted by its allied Proteus fleet. By the time the fight wound down, the trade off had become 7-8 LowSechnaya Sholupen allied mainline ships for each of its hostiles. With the Goonswarm Federation fleet nearly in tatters and obviously broken, the Snuffed Out\Project.Mayhem. fleet simply withdrew, having suffered only minor losses. The same could not be said for the Augoror Navy Issue fleet, which by now was simply exterminated, its few surviving pilots fleeing the system. And yet, with The-Culture and its allies claiming the field of battle in RP2-OQ, the Fortizar citadel in PNQY-Y managed to reach operational status, netting a strategic victory to LowSechnaya Sholupen and its allies. With the field secured, The-Culture and its allies looted the field before extracting from the system, bringing hostilities to a close. Battle report for the RP2-OQ system can be found here. All told the battle lasted 40 minutes from start to end, with the RP2-OQ system hosting approximately 530 pilots at the height of the fighting. Time Dilation spiked during the initial engagement, reaching a peak of 40% before quickly subsiding. The-Culture and its allies lost 41 ships in the engagement, including 4 dreadnoughts, 15 battleships and 1 strategic cruiser for a total of 27.56 billion ISK. LowSechnaya Sholupen and its allies lost a total of 194 ships, including 15 dreadnoughts, 5 force auxiliary, 4 carriers, 11 strategic cruisers, 15 heavy assault cruisers and 84 cruisers for a combined sum of 108.53 billion ISK. I just want to say I’m newbie to blogging and really enjoyed you’re blog. Likely I’m likely to bookmark your blog . You certainly come with impressive articles. Kudos for revealing your web-site. Its like you read my mind! You seem to know a lot about this, like you wrote the book in it or something. I think that you can do with some pics to drive the message home a little bit, but instead of that, this is fantastic blog. A fantastic read. I’ll certainly be back. I want to show some appreciation to this writer just for bailing me out of this circumstance. Because of researching throughout the online world and meeting thoughts which are not pleasant, I thought my life was gone. Existing devoid of the answers to the difficulties you have fixed by means of this website is a crucial case, as well as the kind that might have negatively damaged my career if I had not discovered your web blog. Your personal know-how and kindness in handling all areas was useful. I’m not sure what I would have done if I had not come across such a solution like this. I can at this point look ahead to my future. Thanks a lot very much for the specialized and result oriented help. I won’t think twice to refer the blog to anyone who wants and needs tips on this subject matter. You should join in a tournament first of the greatest blogs on the web. I will recommend this web site! I in addition to my guys have already been going through the best strategies found on your web page while suddenly I had an awful suspicion I had not thanked the site owner for them. All the people were for this reason stimulated to read through all of them and have absolutely been having fun with these things. Appreciation for actually being considerably thoughtful and also for getting varieties of awesome ideas most people are really needing to be informed on. My personal honest regret for not expressing gratitude to sooner. I am looking both for blogs that offer impartial, balanced commentary on all issues or blogs that have a liberal or left-wing angle. Thank you. I wish to get even more fans by submitting my images to blogs. Like when individuals click with, they will certainly connect to my blog site. you are in reality a excellent webmaster. The web site loading velocity is incredible. It sort of feels that you’re doing any unique trick. In addition, The contents are masterpiece. you have done a great activity on this topic! x088Sl Im no professional, but I suppose you just crafted the best point. You definitely comprehend what youre talking about, and I can truly get behind that. Thanks for staying so upfront and so honest. What is your point of view of individual blogs and also on-line journaling? There are hundreds of blogs that calls for talk about them. What is the objective of blog remarks? What blog sites would benefit a local business in flower and also gifts?